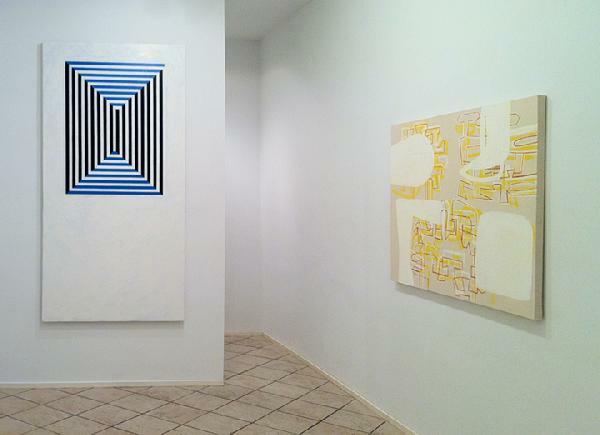 Andy Spence and Colin Thompson‘s abstract paintings are on display through the end of the week at STOREFRONT. Spence’s measured geometries and optical illusions hung side-by-side with Thompson’s gleefully scrawled characters remind me of siblings who have gone their separate ways but still find plenty to talk about. 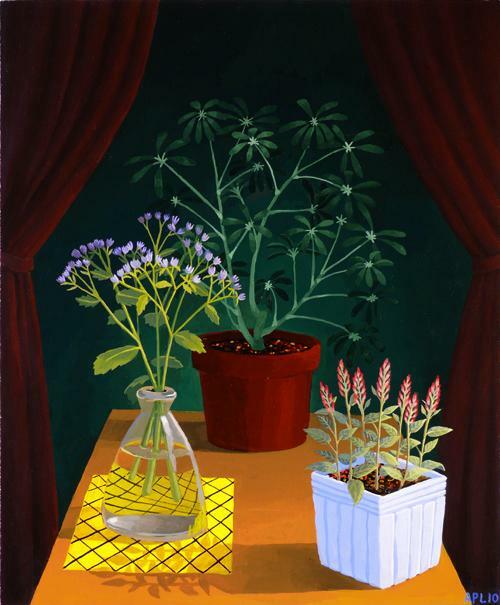 In the back room, check out Amy Lincoln’s delicately painted tabletop still lifes which compel a closer look. Clearly Lincoln is captivated by the allegorical implications of everyday life, as were northern Renaissance painters like Hans Holbein, Jan Van Eyck, and Petrus Christus. “JUX: New Paintings by Andy Spence and Colin Thompson,” STOREFRONT, Brooklyn, NY. Through March 20, 2011. “Amy Lincoln: New Still Life Paintings,” STOREFRONT, Brooklyn, NY. Through March 20, 2011.
looks like a very exciting show, interesting combination of work. I like the show very much, especially the work by Colin Thompson, simple but interesting. Love abstracts!